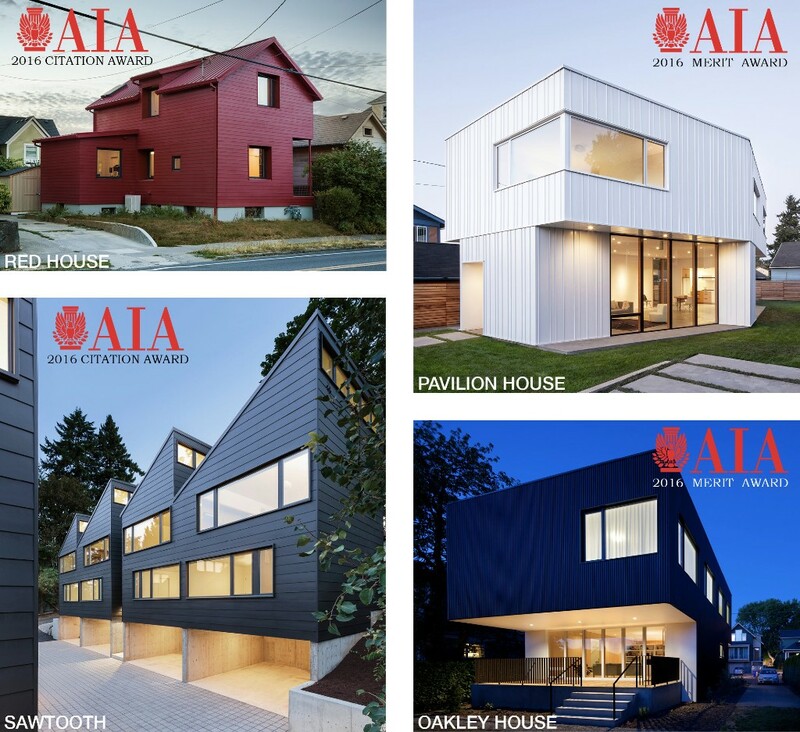 We are proud to announce that at the 2016 Portland AIA Architecture Award ceremony on November 17, Waechter Architecture took home four awards. More than any other firm. 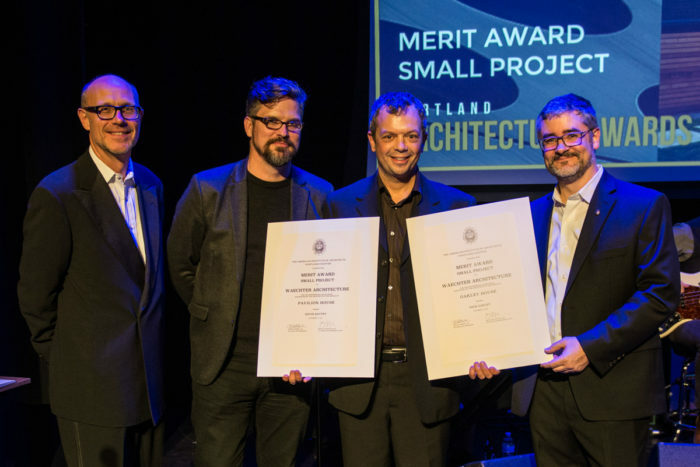 The three member jury applauded the work for its ambition, rigor, conceptional clarity, organization, smart detailing and material economy. Sawtooth "Simplicity with moments of innovation." Red House "A modest essay done very well." Oakley House "Ambitious and smart and super clear." Pavilion House "There's an elegance... three or four elements used in very clever ways."